While practicing in Bridgeport CT, Dr. Trojano treated a wide variety of health care concerns including nutritional and immune deficiencies, anxiety, digestive disorders, hormonal imbalances, and adrenal fatigue. Working with a wide variety of patients has led Dr. Trojano to develop a treatment philosophy that wellness can be achieved most effectively through a partnership between patient and doctor. Dr. Trojano is a practicing Naturopathic family doctor who strives to treat all her patients, young and old, as individuals. 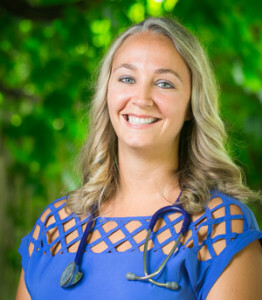 She holds a particular interest in Sports medicine including the prevention and treatment of injuries through nutrition, botanical medicine, and nutrient therapy. She also has experience treating endocrine imbalances, autoimmune diseases, gastrointestinal disorders, and weight management issues. Dr. Trojano is originally from Hopkinton, New Hampshire and is thrilled to be practicing in her home state. Combining Conventional and Complimentary Medicine for Health and Wellness. Our mission is to provide the most comprehensive and effective health care, integrating the best of Western, Eastern and Natural medicine in a safe and caring atmosphere. We provide individualized care that addresses the whole person, focuses on prevention, education and assists you in achieving an optimal level of health. As naturopathic doctors and experts in natural medicine, we combine evidence-based alternative medicine with advanced diagnostic technology, and appropriate conventional therapies to help you achieve and maintain optimal health and wellness. Naturopathic medicine is a distinct system of primary care focusing on prevention and natural therapies. Naturopathic philosophy lays the groundwork for the practice of naturopathic medicine, and helps guide the treatment decisions. The Healing Power of Nature. Naturopathic medicine recognizes and respects the inherent self-healing ability of the body. Identify and Treat the Cause. The naturopathic doctor seeks to identify and remove the underlying causes of illness, rather that trying to eliminate or suppress symptoms. First Do No Harm. Naturopathic doctors use therapies that are gentle and effective. Doctor As Teacher. Naturopathic doctors educate their patients and promote self-responsibility for health. Treat the Whole Person. Naturopathic doctors treat each patient by taking into account all facets of the individual’s well-being, including physical, mental, emotional, social, environmental, and other factors. Prevention is the best medicine. Naturopathic physicians emphasize the prevention of disease. Your first office visit will be 60 – 90 minutes and will include a detailed history of your current medical concerns as well as a comprehensive medical history. Special attention will be paid to your diet and dietary habits, sleep, energy, physical activity levels, and mental and emotional health. Plan to bring your current medications and supplements with you so we can review them, as well as copies (if you have them) of any recent labwork you have had done. Together, we will start to develop and implement a treatment plan. Follow up visits are typically 30 – 45 minutes (sometimes longer, if necessary) and your first follow up appointment will usually be scheduled 2-4 weeks after your initial appointment so we can see how your treatment is progressing and make changes to your protocols as necessary. Depending on your health and what your goals are, further visits will be scheduled as necessary. Our relationship as doctor and patient is a partnership and we will work together to achieve your health goals. Dr. Trojano is always available by email and can be reached by phone as well. She is happy to answer questions and clarify instructions through these avenues when possible and will schedule follow up appointments to discuss more detailed issues. Dr. Hilary Trojano, Summit Holistic Medicine, Exeter, NH.